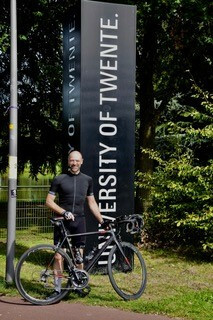 Expecting to arrive at Portugal’s University of Aveiro by October 17, Lehman bikes 150 kilometres per day on average. Even though he has trained several months for this tour, he confesses the pace is quite challenging. ‘This is by far the most I’ve biked in my life,’ said Lehman, who still has several thousand kilometres to go.